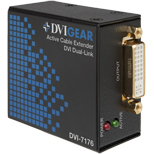 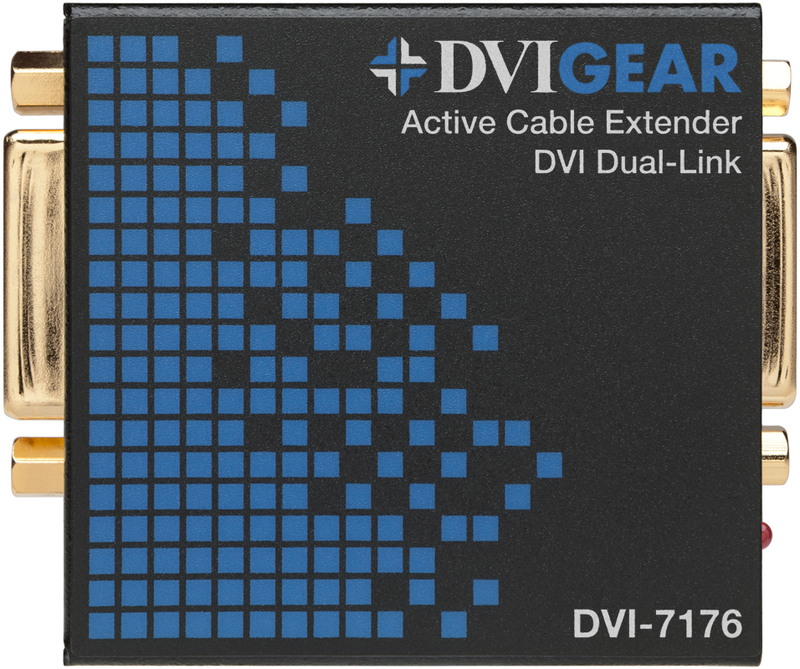 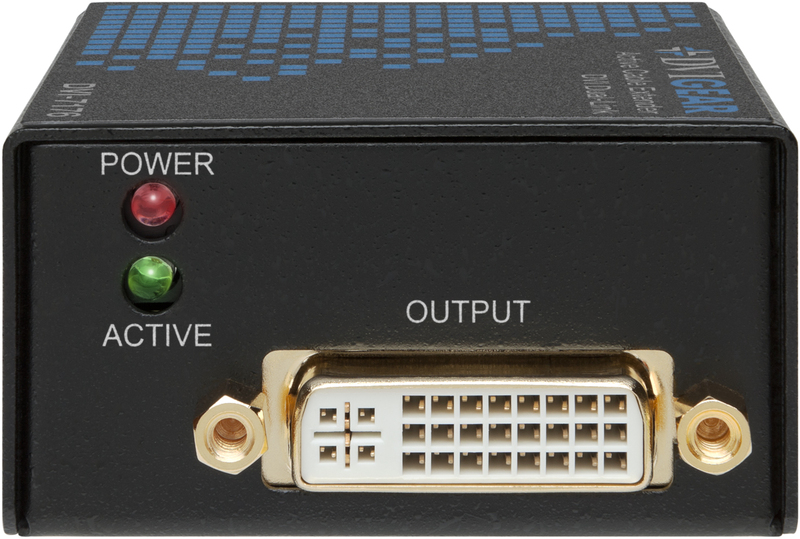 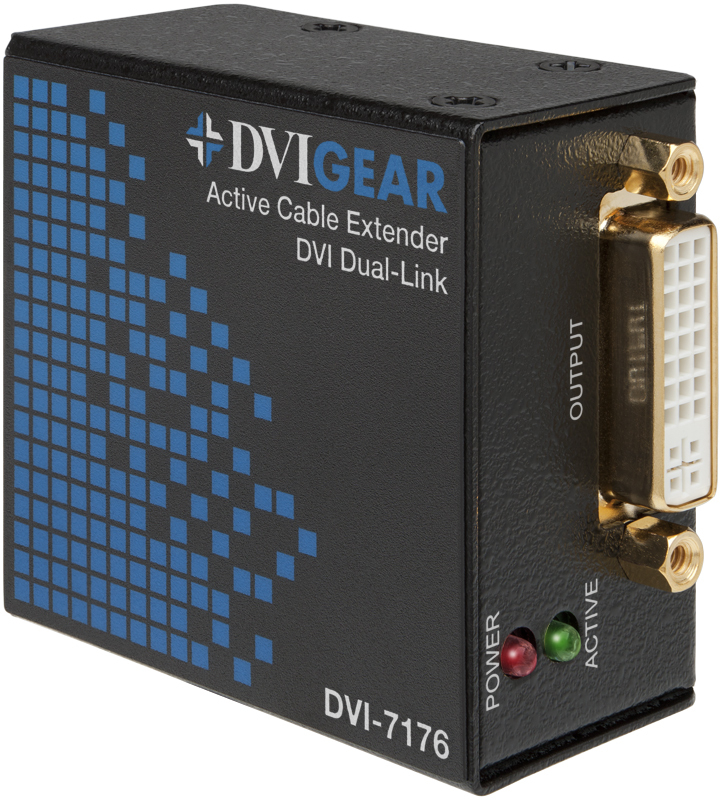 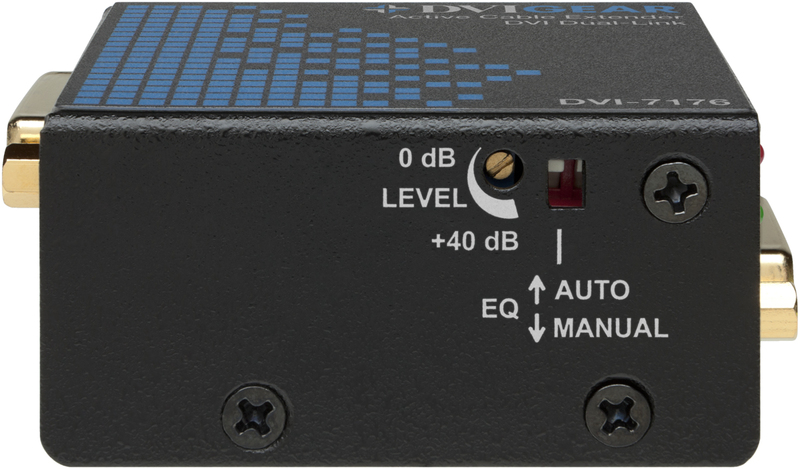 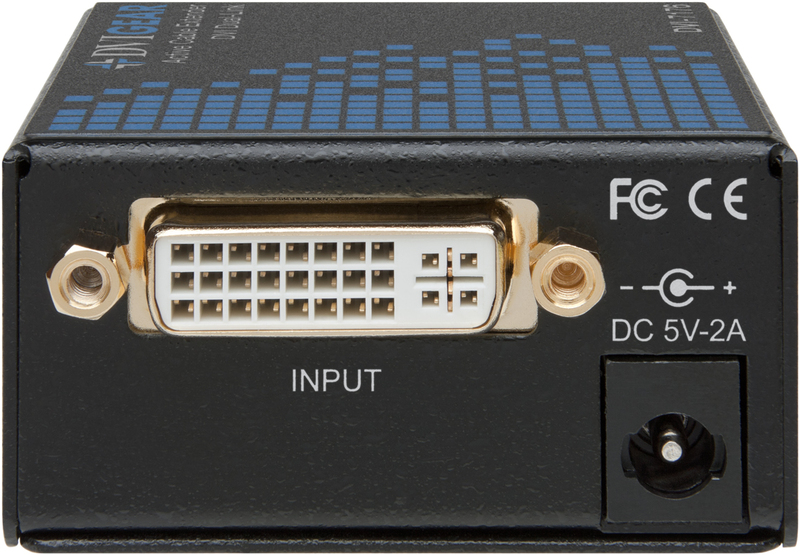 DVIGear's Dual-Link ACE™ Active Cable Extender is a dynamic cable equalizer that performs high-speed cable compensation on long Dual-Link DVI cables. 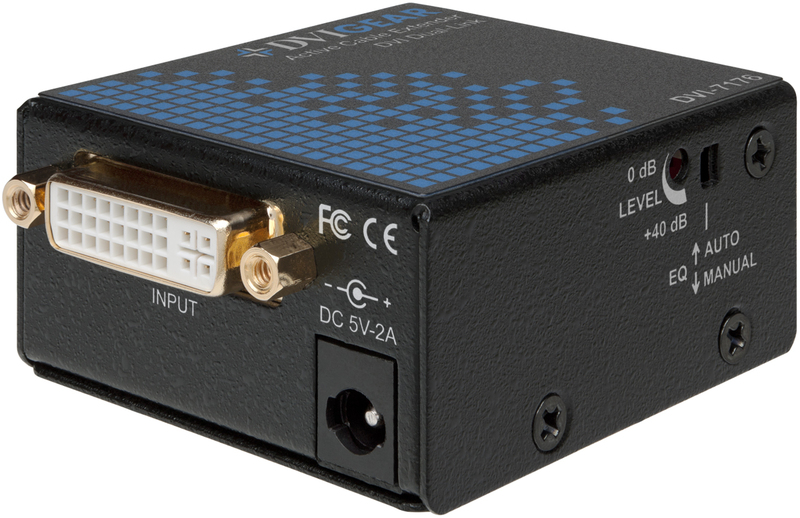 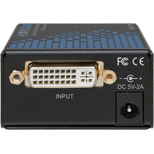 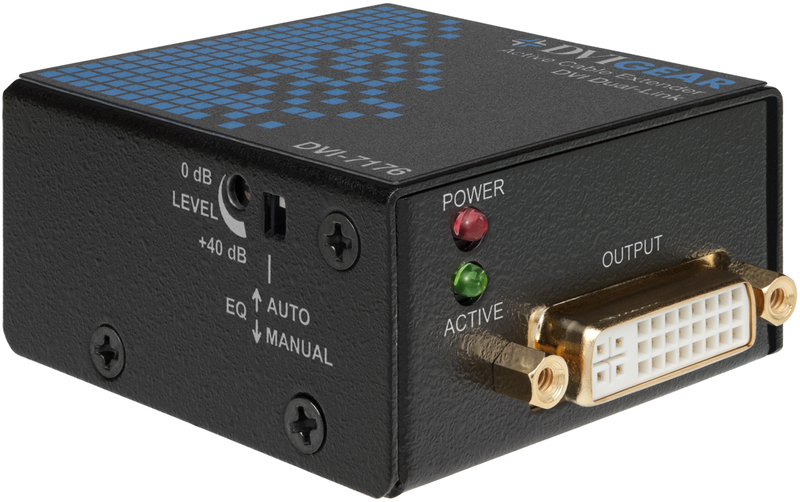 This unit provides up to 40 dB of insertion loss correction at 825 MHz, which correlates to the highest possible DVI signal resolutions. 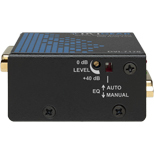 The amount of equalization can be automatically adjusted independent of cable length connected, or manually set using a precision 25-turn adjustment. 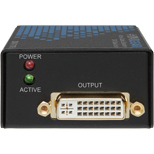 Innovative features such as automatic power detection and high-speed ESD protection further enhance the usefulness of this unit in system applications. 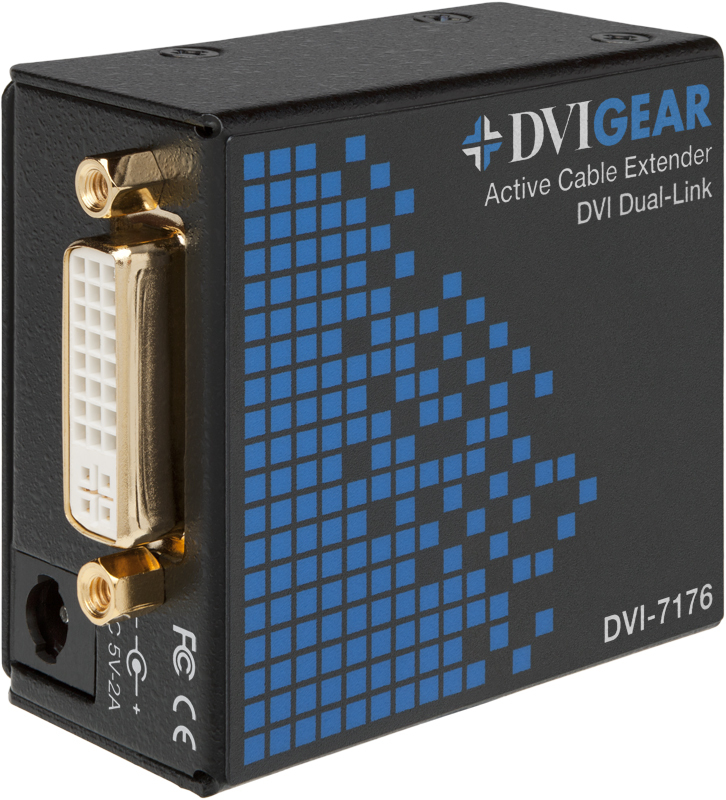 When used in conjunction with DVIGear's Super High Resolution™ Dual-Link DVI cables, cable lengths of up to 200 ft. (~ 60 meters) are possible. 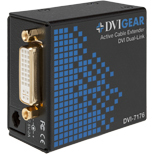 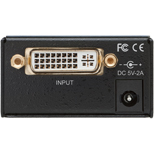 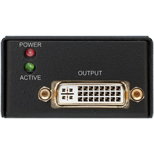 The combination of these products form active cable assemblies that are fully compliant with DVI and HDMI standards, and which provide superior performance, ruggedness and durability. 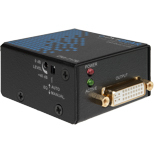 Supports digital bit rates up to 3.30 Gbps. 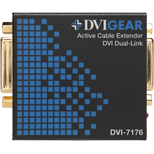 Note 1: Maximum cable lengths using DVIGear's 22AWG Super High Resolution (SHRD™) Dual-Link cables. 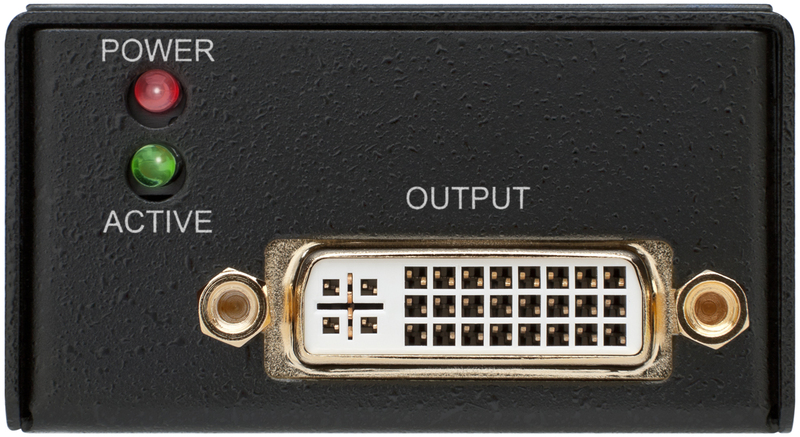 Note 2: The maximum cable length with 1080p / 60Hz 8-bit color (1.5 Gbps.) 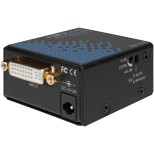 input signal is 200 ft. (~ 60 meters). 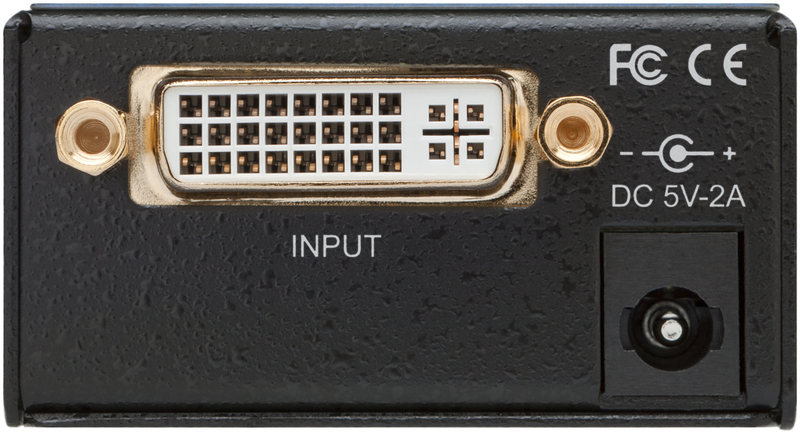 The maximum cable length with 1080p / 60Hz 12-bit color (2.25 Gbps.) 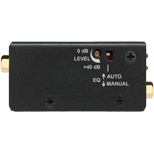 input signal is 131 ft. (~ 40 meters).